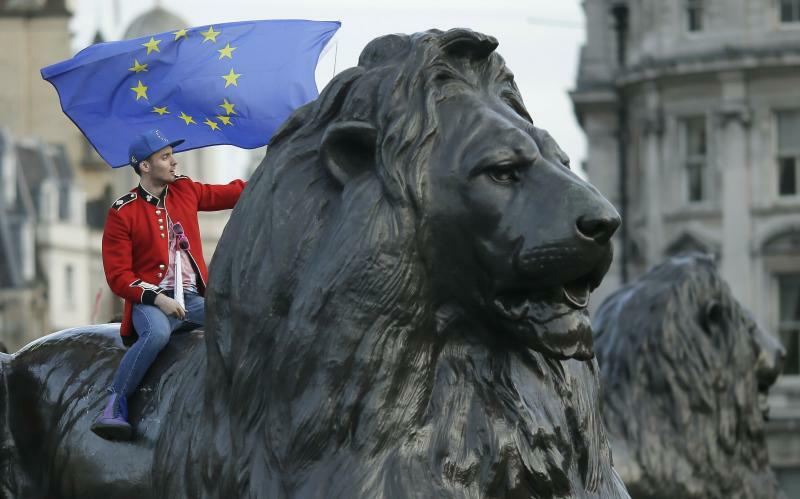 With British politicians deadlocked, EU leaders last week granted Britain a two-stage "flextension" to Brexit, which had been due to take place on March 29. 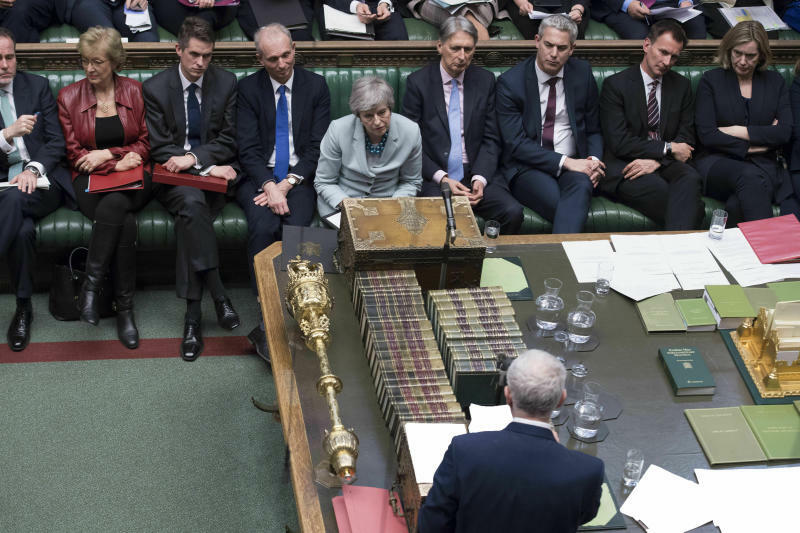 Under the new plan, if U.K. lawmakers approve the divorce deal agreed upon between Britain and the bloc, the country will leave the EU on May 22. Both sides voted in large numbers, twice, to reject May's Brexit deal. But May wants to try again. She hopes to persuade reluctant pro-Brexit lawmakers that backing her deal is their only hope of leaving soon and in an orderly fashion, and to convince pro-EU legislators that they must choose between her deal or a chaotic no-deal Brexit. But May conceded Monday that "as things stand, there is still not sufficient support" for a new vote on the deal, though she hoped to change that before the end of the week. A larger group in Parliament, from a range of parties, favors a compromise Brexit in which the U.K. keeps close economic ties with the bloc. These pro-EU lawmakers had a victory late Monday when the House of Commons agreed 329-302 to take temporary control of the parliamentary agenda, usually the government's prerogative, to schedule a series of votes on alternative Brexit options. The goal of the "indicative votes" is to see if there is majority support for any of the alternatives. And anti-Brexit campaigners haven't abandoned the idea of a new Brexit referendum on remaining in the EU. There's currently no majority for that in Parliament, but pro-referendum campaigners feel opinion is shifting in their favor. 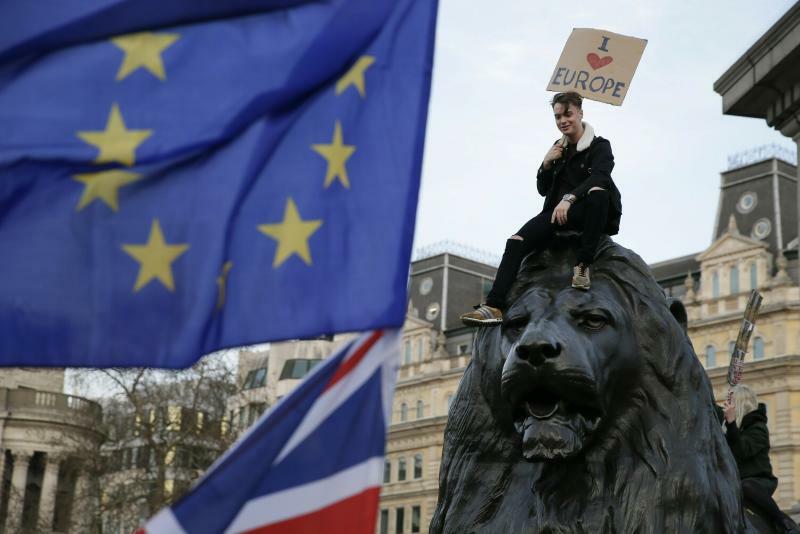 Hundreds of thousands of people marched through London on Saturday to demand a new Brexit vote.